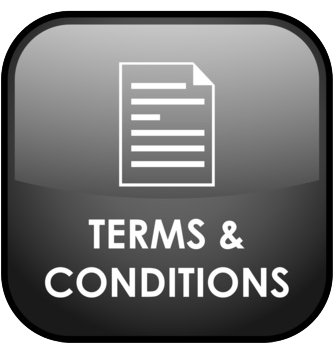 These Terms and Conditions (“Terms”) govern the use by Users of the Website and the provision of Services via this Website to the Users by the Company. By clicking the "I Accept" button at the end of these Terms and/or by downloading/installing and/or accessing / making use of the Website or the Services, you agree and acknowledge that you have read these Terms and agree to be bound by these Terms. These Terms may be changed at any time without any prior notice. Your continued use of the Website and/or the Services after any such change constitutes your acceptance of the new terms. If you do not agree to abide by these or any future terms, please do not use the Website or the Services. 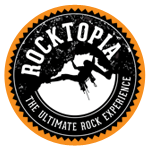 1.1 "Bookings" means a booking for a particular activity offered by Rocktopia made by the User, in relation to which the User will be issued a ticket for such activity at the specified time for which the Booking is made. 1.2 "Centre" means the Rocktopia facility operated by the Company in which Users may partake of certain activities as described on the Website and available at the Centre. 1.3 "Company" or "We" (and variations of the term) means [●]. 1.5 “User” or “You” (and variations of the term) mean individuals who visit the Website and avail of the Services. 1.6 “Website” means the Company’s website – rocktopia.co.nz via which Users can access the Services. 2.1 You represent that you are of the legal age of majority and can enter into binding contracts. If you do not satisfy this criteria, please do not make any Bookings using the Website. 2.2 Upon opening the Website, Users will be entitled to the Services subject to these Terms. 2.3 Each User is responsible for maintaining the secrecy of any passwords, login name/user-id and account information that may be created and / or required for the use of the Website at all times and shall be personally responsible for any and all use of the Website by such User and anyone using such User’s login information and password whether with or without the User’s permission. To transfer the content to any other person unless the User gives such person notice of, and such person agrees to accept, the obligations arising under these Terms. To copy, decompile, reverse engineer, or otherwise attempt to discover any source code, sell, assign or otherwise transfer any intellectual property in the Website and / or Services other than as agreed in the Terms. In any manner other than as agreed in the Terms. 2.5 Each User hereby agrees to comply with all applicable laws as well as abide by all additional restrictions displayed on the Website, and the Terms as may be updated from time to time. 2.6The Company may, at its sole discretion, at any time and without prior notice or liability, suspend, terminate or restrict any User’s access to all or any component of the Website and the Services. 2.7 At the time of use of any services available at the Centre, each such User will be required to accept and sign the User Terms, attached hereto as Annexure A, which may be updated on a periodic basis. Fill your personal details and Rocktopia's Terms & Conditions. 4.1 As a matter of convenience to you, the Company may provide links to various third party websites on the Website. If the User uses any of these external websites, the User may be directed/redirected to such external website and may leave the Website. 4.2 Any display of third party goods / services / links to third party websites on the Website does not in any way imply, suggest, or constitute any reputation, sponsorship or approval of such third parties / their content by the Company. The Company does not endorse or represent any service provider listed on the Website. 4.3 The Company makes no warranty or representation regarding, and does not endorse, any website linked to the Website or the information appearing thereon or any of the products or services described thereon. 4.4 The User agrees that the Company is in no way responsible for the accuracy, timeliness or completeness of information it may obtain from these third parties and which may be posted on the Website and as may be amended from time to time. If the User decides to visit any such external link, the User agrees to do so at the User’s own risk, responsibility and liability. 4.5 The User’s interaction with any third party accessed through the Website is at the User’s own risk, and the Company will have no liability with respect to the acts, omissions, errors, representations, warranties, breaches or negligence of any such third parties or for any refunds, exchanges, personal injuries, death, property damage, or other damages or expenses resulting from the User’s interactions with such third parties or availing any goods / services from such third parties. All content on the Website, including but not limited to design, text, software, technical drawings, configurations, graphics, other files, and their selection and arrangement, are either the proprietary content of the Company, or are the proprietary property of the Company’s affiliates or licensors. All rights to such content are reserved. The trademarks, service marks, designs, and logos (collectively, the "Trademarks") displayed on the Website are the registered and unregistered Trademarks of the Company and/or its licensors or affiliates. All rights to such Trademarks are reserved. 7.1 The Website and Services provided by the Company are provided on an "AS IS" and "AS AVAILABLE" basis. The Company expressly disclaims all warranties of any kind, whether express or implied, including, but not limited to, the implied warranties of merchantability, fitness for a particular purpose, title, non-infringement, and security and accuracy, as well as all warranties arising by usage of trade, course of dealing, or course of performance. 7.2 Rocktopia Ltd makes no warranty, and expressly disclaims any obligation, that: (a) the content on the Website will be up-to-date, complete, comprehensive, accurate or applicable to the User’s circumstances; (b) the Website or the facilities and Services offered at the Centre will meet any User’s requirements or will be available on an uninterrupted, timely, secure, or error-free basis; (c) the results that may be obtained from the use of the Website or Services will be accurate or reliable; or (d) the quality of any Services, information, or other material obtained by the User through the Website, or provided to the User at the Centre will meet the User’s expectations. 7.3 The Website content and any material provided to Users at the Centre may contain inaccuracies and typographical errors. The Company does not warrant the accuracy or completeness of any such content or the reliability of any advice, opinion, statement, memorandum or other information displayed or distributed through the Website or provided to the User at the Centre. The User acknowledges that any reliance on any such opinion, advice, statement, memorandum or information shall be at the User’s sole risk. The Company does not endorse or represent any partner, service provider or other third party listed on the Website or in relation to whom information is provided to the User at the Centre. 8.1 Rocktopia Ltd (including their respective officers, directors, employees, representatives, affiliates, partners and providers) will not be responsible or liable for (a) any injury, loss, claim, act of god, accident, delay, or any direct, special, exemplary, punitive, indirect, incidental or consequential damages of any kind (including without limitation lost profits or lost savings), whether based in contract, tort, strict liability or otherwise, that arise out of or is in any way connected with (i) any failure or delay (including without limitation the use of or inability to use any component of the Website or the Services), in the provision of the Services, or any Bookings made via the Website, or any services rendered at the Centre; or (ii) any use of the Website or content / material available on the Website / at the Centre, or the facilities available at the Centre (iii) the performance or non-performance by the Company, or any third party partner or service provider, even if the Company has been advised of the possibility of damages to such parties or any other party, or (b) any damages to or viruses that may infect a User’s computer equipment or other property as the result of the User’s access to the Website or the User’s downloading of any content from the Website. 9.1 You may not assign or otherwise transfer your rights or obligations under these Terms. The Company may assign its rights and duties under these Terms without any such assignment being considered a change to the Terms and without any notice to you. 9.2 Any failure by the Company to act on a breach of these Terms by a User on any occasion, is not a waiver of the Company’s right to act with respect to future or similar breaches. 9.3 Usage of the Website following the posting of notice of any modification will be subject to the Terms in effect at the time of usage. If a User objects to these Terms or any subsequent modifications to these Terms or become dissatisfied with the Website and/or the Services in any way, the User’s only recourse is to immediately terminate use of the Website and/or the Services. 9.4If any of these Terms is found to be unenforceable or invalid by a court of competent jurisdiction, that Term will be enforced to the fullest extent permitted by applicable law and the other Terms will continue to remain valid and enforceable. 9.5 These Terms, together with those agreements and policies made a part of these Terms by reference, make up the entire agreement between the Company and the User relating to such User’s use of the Website and the Services. 9.6 The laws of the New Zealand, without regard to its conflict of laws rules, will govern these Terms, as well as the observance of such Terms by the Company and the User. If the User takes any legal action relating to the use of the Website or these Terms, the User agrees to file such action only in the courts located in the relevant courts in the city in which the Centre is located. In any such action or any action the Company may initiate, the prevailing party will be entitled to recover all legal expenses incurred in connection with the legal action, including but not limited to costs, both taxable and non-taxable, and reasonable attorney fees. 9.7 Each User acknowledges that such User has read and understood these Terms, and that these Terms have the same force and effect as a signed agreement. Any use of the facilities available at the Clip 'n Climb Mount Maunganui facility operated by Rocktopia Limited must be undertaken in accordance with the rules and conditions provided by the Company on site and during safety briefings, and shall be subject to the terms of this document. When buying a ticket to climb and participate in associated activities offered by the Company at the facility and / or upon signing this document (including by way of e-signing), you are deemed to have understood and accepted the terms and conditions outlined in the below waiver. All customer and / or participants availing of the facilities offered by the Company are required to sign this agreement. If you refuse to sign this agreement, the Company reserves the right not to provide you access to or allow you to use the facilities. Rocktopia Limited the supplier of recreational services, sells all tickets and supplies all recreational / sports services and facilities to you (the customer) including, but not limited to climbing, equipment rental, the condition, layout, construction, design, maintenance and use of the climbs and surrounds and any other associated sporting activities or similar leisure time pursuits (recreational activities) at the Rocktopia facility subject to the following conditions. For the purpose of this waiver, “Company” shall mean Rocktopia Limited. 1. By purchasing a ticket for or by using any of the facilities the customer is deemed to agree to these conditions. 2. All facilities, equipment and recreational /sports activities offered by the Company are offered on an 'as is' basis, and the Company makes no representations or warranties of any kind, express or implied, regarding the facilities, equipment and recreational activities. The Company, its franchisors, franchisees, employees, directors and agents are not liable to the customer, his/her dependents or legal representatives for any claims regarding personal injury or death suffered by the customer or claims that the recreational activities were not supplied with due care and skill or were not reasonably fit for their purpose or because of negligence, breach of contract, statute or statutory duty by the Company. 3. The customer acknowledges that the recreational /sports activities are dangerous with inherent risks and hazards and as a consequence personal injury and sometimes death may occur. The customer assumes and accepts all such risks and hereby waives all rights to make any claims against the Company for any personal injury or death in any way whatsoever caused by or arising from the customer`s participation in any activities at the venue / facility. 4. The customer agrees to pay the cost of and authorises the Company to take all steps it considers reasonably necessary to protect his/her welfare in the event of personal injury, including the administration of any emergency medical treatment and ambulance transportation. 5. Children must be at least 2 years age to use the facilities, and when less than 13 years age, be supervised by a responsible adult. Where you are responsible for such children you agree to be bound by these conditions on their behalf and you will directly supervise them at all times. 6. All customers / participants must be in good health and free from any adverse medical conditions. For safety reasons, pregnant women, customers with pre-existing health issues and customers wearing casts are not permitted on the climbing walls. Customers / participants shall be responsible for informing the Company if they fall within any of the above categories, or have any other adverse medical / health issues. If in doubt, please seek medical advice. 7. While in the venue you consent to images and video being taken for security or promotional purposes of yourself, your children or of children for whom you are responsible. 8. All tickets remain the property of the Company and cannot be transferred or resold. They are valid only for the date and time booked and are void if tampered with. 9. The customer must comply with all signs or other directions of the Company, including any oral directions provided by the staff of the Company at the facility. The Company has the right to suspend or cancel the customer`s access to recreational /sports activities at the venue in its absolute discretion for non-compliance with these conditions, or for reckless or careless conduct. 10. If you purchase a ticket for the use of the shoes, harness and climbing walls, or any other facilities at the venue on behalf of another person, you agree that you make that purchase as the authorized agent of that person so that he/she will be bound by these conditions. b. If any part or provision of this agreement is determined by a court to be invalid or unenforceable all other parts and provisions shall still be given full legal force and effect. I am 18 years of age or older and I have read and understood “the agreement”. I understand that this document contains a promise to waiver all rights to make any claims against the Company for any personal injury or death in any way whatsoever caused by or arising from the customer`s participation in any activities at the venue / facility. If I am the parent and/or guardian of the participant I have read and understood and execute on behalf of the child/ward.